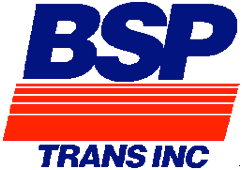 BSP Trans., Inc. represents five generations in Northern New England Trucking. More than one hundred years ago, in 1882, the Law family began a freight transportation business by horse and wagon. Since then the Law businesses have developed into trucking, warehousing, heavy equipment maintenance and commercial real estate. BSP grew from that foundation. In 1970 Jack R. Law founded BSP Trans., Inc. as an airfreight motor carrier at Manchester, NH airport. The company soon expanded to include service to Logan airport from NH. 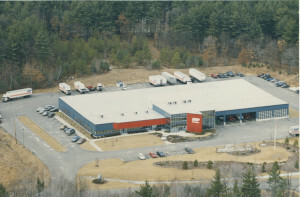 BSP’s first growth outside of New Hampshire was to the state of Maine in 1986, followed by expanding to Vermont in 1989. Today, BSP has earned an outstanding reputation for service by providing coverage to all points in the states of Maine, New Hampshire and Vermont through a 6 terminal network with 60 pieces of power equipment. BSP’s service and reputation is carried out and provided by 125 dedicated and knowledgeable employees. Our customers include manufacturers, distributors and retailers of all kinds, from local companies to international shippers. Londonderry, is our largest terminal. It also is our break-bulk and home to our corporate offices. Londonderry is 40,000 sq. ft with 32 doors. We service every point from 3 different terminal locations; Westbrook, Bangor and Presque Isle. Westbrook is a secure 14,100 sq. ft facility with 27 doors on 2 acres with paved parking. Bangor, our newest facility; built to our specification is a 9,600 sq. ft facility with 22 doors. Presque Isle, which services Aroostock County, is a 1,000 sq. ft facility with 3 doors. We service every point from 2 different terminal locations, Enfield, NH and Burlington, VT.
Enfield is a 6,600-sq. ft. with 11 doors. Burlington services the greater Burlington area. The facility is 3,600-sq. ft. and has 12 doors.